The PM has drawn her battle lines this month as she pushes forward with her beloved Chequers Plan despite the danger of Commons resistance by hard Brexiteers. In an age of uncertainty only one thing is guaranteed, political drama. In the coming months, before the March 19th leave deadline, we are going be see a zenith of party conflict emerging from the Conservatives as the PM tells the EU that it’s ‘Chequers or no deal’. Inevitably, this has acted as a catalyst for Tory debate as to what kind of Anglo-EU deal will emerge from the current quagmire of negotiations. This is, of course, if there’s a deal at all. The Chequers Deal takes the name of the PM’s country retreat in Buckinghamshire and was formulated by then cabinet ministers over a heated few days in July, both in terms of disagreements and the weather. It represents May’s vision of an incredibly close post-Brexit relationship with the EU. Its’ flagship component is a ‘Common Rule Book’ which proposes an exclusive Anglo-European trade relationship, very similar to the current arrangement of the common market. 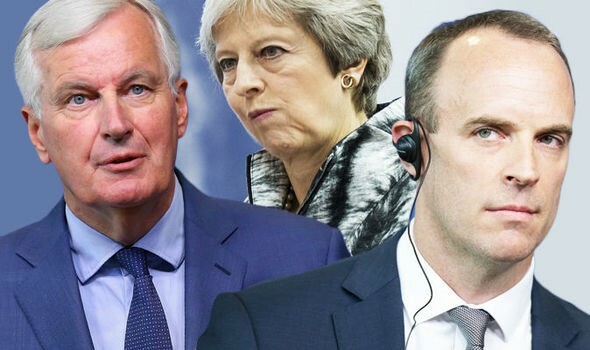 Critics include Remainers and Brexiteers who state that Chequers would involve effectively remaining in the EU, potentially meeting the terms of membership; such as the free movement of peoples and various payments to Brussels, but with no say in the organisation’s regulations. For David Davis and Boris Johnson, it was a compromise too far and their resignations provided a brief tumultuous period of uncertainty as to whether May was going to be ousted from number 10. She survived and is now sticking to her guns, even after hurriedly sending over the new Brexit Secretary, Dominic Raab, to quickly reassure Michel Barnier after he referred to Chequers as ‘dead’ earlier this month. If Chequers, or a variation of the plan, is accepted by Barnier and the remaining 27 nations and passes through the houses of parliament it will undoubtably be a substantial personal victory for Mrs May. A PM’s tenure is often defined by an ambitious gamble. Cameron will be remembered for his misjudged referendum on EU membership with the aim of appeasing the Conservative hard right and UKIP, whereas the reputation of Blair will always be tainted by the crippling invasion of Iraq. Pursuing Chequers under opposition from her own party may just be the gamble which history uses to judge May’s premiership. This gamble has been made necessary by the shambolic nature of negotiations with Brussels. However, one shouldn’t be surprised by the embarrassing nature of Brexit negotiations. Talks with the twenty-seven have been conducted by the very people who thought the Brexit was a good idea in the first place. It appears that Britain, for the time being, has ceased to be ‘Great’ and is instead an embarrassing, difficult neighbour. Chauvinism and arrogance need to be ditched and some sort of deal needs to be negotiated, for everyone’s sake. May clearly believes that her brainchild is the best alternative to a disastrous and dangerous No-Deal. Is it the best solution? Will it even pass through the voting process of the Commons and Lords in the face of a rebellion by Hard Brexiteers? We’ll have to wait and see. In a recent Panorama interview, Rees-Mogg ominously addresses the PM and states, ‘Come on Punk, make my day’ and that ‘if you make the wrong choice, consequences could be unpleasant’. These consequences would be a humiliating loss for the PM and a constitutional crisis. Maybe even a referendum or a General Election. Not much is certain. Although, one thing is. The coming months are going to be terrifically entertaining. Live and Upcoming Show – The Last Show of The Year!